Your first consultation will take approximately an hour and a half. It will consist of a detailed interview which will cover your symptoms, history of treatment, your physical and emotional health, the condition of your various body systems and relevant environmental and hereditary factors. I will take your pulses on both wrists and will also look at your tongue. In the case of physical injury palpation and checking range of movement are included where appropriate. I will analyse the information from the interview and examination, diagnose the energy balances within the body and decide a treatment plan. Unless the health history is exceptionally complicated and the interview has taken all the time, the first consultation includes a treatment. What happens at subsequent treatments? I will spend 10 minutes or so asking you how you have felt since your last treatment and will take your pulses on both wrists and look at your tongue again. 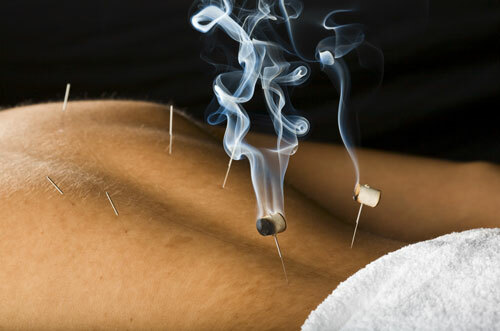 Treatments normally consist of the insertion of 4-12 very fine needles in energy points around the body. The insertion of the needles into the skin rarely hurts. When the energy point is found the sensation is often described as a “pull” or dull ache. Treatment affects people differently; people usually feel calm and relaxed. Occasionally you may feel tired or drowsy for a few hours. I advise that after your first treatment try not to have anything else arranged for a couple of hours, just in case you feel tired. Occasionally there may be a short term flare up of your symptoms, after which there should be an improvement. This varies between patients. You should expect to take a course of treatments. Usually you should notice changes either in yourself generally, or in your condition after 4 – 6 treatments. How long the course of treatment will last depends both on the individual and the nature of their complaint. I would like you to come weekly for 6 weeks. After this time progress can be reviewed. As the condition improves the time between treatments is increased. The Chinese believe that visiting an acupuncturist to maintain good health is better than waiting until they have an illness for this reason many people choose to make an appointment every few months. The needles used are extremely fine and the insertion of the needles into the skin rarely hurts. When the acupuncturist inserts the needle he is stimulating an energy point close to the surface of the skin. When this happens the sensation is often described as a “pull” or dull ache. All members of the British Acupuncture Council (BAcC) have received extensive training at an accredited college in acupuncture and bio-medical sciences appropriate to the practice of acupuncture in the UK. They observe all relevant local bye-laws and the BAcC Code of Practise which lays down stringent standards of hygiene and requires the use of sterile, single use, disposable needles. Only pre-packed, sterile, single use needles are used. Immediately after use they are put into a medical sharps disposal container and collected and disposed of by an authorised disposal company. The acupuncture treatment may enable you to reduce or even stop taking some medication, but your doctor should always be consulted regarding any change of prescription. You should always tell your acupuncturist about any medication you are taking as this may affect your response to acupuncture treatment. Yes, it would seem beneficial to combine what is useful from each system. In China the two systems are completely integrated and the treatment most appropriate is used. Any energetic imbalances which affect a person’s heath are corrected by treatment. Examples include PMS, headache, vertigo, irritable bowel syndrome, allergies, etc. Conversely, some conditions, most notably bacterial infections and conditions with structural changes, e.g., fractures or tumours, respond more rapidly to Western techniques. Very frequently the two methodologies can be combined to the patient’s greater benefit. Chinese Medicine concentrates on balancing the body’s energy; the therapeutic focus is on “wellness”. It is traditionally applied to keep the individual healthy. Any energetic imbalances which affect a person’s heath are corrected by treatment. A wide variety of complaints can be addressed by this energy restoration. In contrast, Western Medicine is focused on the diagnoses and treatment of disease. Traditionally Western medicine has had little interest in preventive health issues, although this approach is starting to change now. Western Medicine focuses on the diagnosis of the disease causing a patient’s physical complaint and the suppression the symptoms of the disease. Treatment, usually the prescribing of medication or some type of surgical procedure, is specific to only one problem. Usually, but it is important to contact your health insurance provider for more information. They normally require that the practitioner is a member of a recognised body such as the British Acupuncture Council.